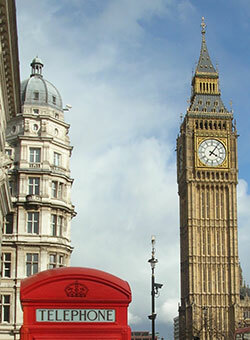 No matter where you happen to be within London then we can come to you to carry out Photoshop training in London. That's right we can also provide laptops with Adobe Photoshop CC Training Course already loaded on. We can also bring a projector should you need it as we know getting hold of one can sometimes be a hassle. The only thing we really require for Photoshop training in London is a room. 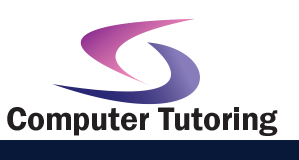 So we can help you set up by preparing your Photoshop training course in London. Just let us know what you need. If Photoshop training in London outline is not what you require, then have a look at the many other training courses in London. We can also tailor your course using projects you're currently working on. This beginners Photoshop training course you will be able to remove unwanted blemishes, change colours, add and rearrange people and objects in your photos. You will also learn how to create basic web graphics by using the layer and effect tools. Along with the support we offer to help you along the way this course is a must for all who are wanting to add that touch of professionalism to your website, poster or brochure. Photos speak volumes about your business. Learning how to manipulate them and get them ready for your different mediums is important. Whether it's for your website or for your printed material you need to ensure your photo's are up to scratch. Still in vogue, the clone stamp tool allows you to replace one part of an image with another. This can be on the same or different layer or even another photo and that's where the real fun begins. I often get asked about how to remove a person from a crowd and I reply that's fine but what are you going to replace them with? Now if you're wondering what I mean then basically if you simply cut someone out of a photo you're going to have a gaping hole. So what are you going to put in it's place? The secret depends on how much detail is in the photo. For instance back to the example about removing a person from a photo. If there are a lot of people, in essence, a veritable crowd then you could get away with replacing them with someone from the same photograph. Or if this is painfully obvious then someone from a different photograph will suffice. Just a little word of warning, pay attention to the light and shadows of the two separate images. You may have to spend a liitle time using the curves adjustment layer to get that right. So you've decided who or what you're going to use to replace the unwanted component in your image. Now select the clone stamp tool hold down the alt key and click on the photo and section of the photo you want to copy from. Move the pointer across to the area you wish to replace. Look carefully at the centre of your mouse pointer and you'll see the part of the image you're copying from this will allow you to line up the different sections enabling you to paint them together seamlessly. Pay attention to the direction you paint. Also don't just click, otherwise it will look as if you're 3 year old has gone to task on your masterpiece. Click and drag to paint remembering the undo history buttons Ctrl + Alt + z which can be very handy. Also do note the aligned check box in the options section at the top. With this ticked you can be sure that your mouse pointer is always the same direction and distance from the clone stamp pixel sampler, whether you're painting or not. Unchecked and the clone stamp sampler reverts to it's original location. The magnetic lasso tool has been kicking around Photoshop for a few versions now and it it is still here in CC. The idea is to use this tool to select a part of an image with contrasting colours. Granted there are other tools, such as the quick selection tool, that will do the same job however there is something etonian about using a moderately modified lasso tool. It is true that I refer to the lasso tool as last resort lasso. So if that is the case then this would be almost second to last. To use it first get on as big a screen as poss. If an imax so much the better the reason is that you want to see the entire object you're tracing around. Second make sure you're using a half decent mouse, or you are supremely good at using one of those laptop touch pads. I personally loathe them however many of my students get by just fine. Click to start tracing around the pixels you want to cut out and follow the contrasting edge as closely as you can working round to where you started. If all goes well then hover your mouse over your initial click point and look for a little circle by your pointer. This indicates the completion of your selection then click ti complete. Sometimes though things go wrong. Should you notice the selection line deviating fom it's intended course then backup the line pressing delete on the keyboard to remove each anchor point, then try again. Needs a little patience however I find something satisfying about using thia old school method of selecting.